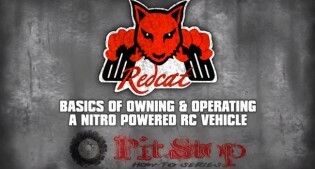 Redcat Racing helps you convert toy store RC buyers to passionate long term hobby store customers by bridging the gap between the two with affordable hobby grade cars. Learn how our interchangeable parts program will increase your profits year after year and generate new repeat business for your shop! When the prototype S-TRYK-R was first announced at the IHobby tradeshow in Ohio, the feedback was shocking. An On-Road RC Car with belt drive and only 3 wheels, this is really something . .